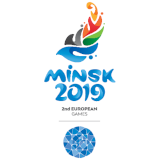 Fifth place for Slevin in the balance beam, 14th for Miranda Tcheuthchoua in the women’s 3kg hammer throw while Team Ireland golfers Kitt and Crowley Walsh finished up T13 in the Mixed Team event. Emma Slevin has finished fifth in the balance beam finals at the Youth Olympic Games with a score of 11.800. The Renmore Gymnastics Club fifteen-year-old surpassed all expectations to feature in four finals, before finishing in a fine fifth place in the beam tonight, on her last day of competition. Golfers Lauren Crowley Walsh and David Kitt finished up T13 in the Mixed Team, with +6 in the Four-Ball Stroke Play, T5 in the Foursomes and a final T24 in the Cumulative Play. In the Women’s Hammer Throw 3kg, Miranda Tcheuthchoua climbed one place to fourteenth after her second day of competition, with a score of 106.60. 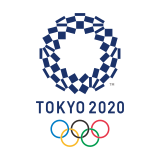 Day ten of the Youth Olympic Games will see Dean Clancy and Dearbhla Rooney in action in the men’s and women’s flyweight category’s respectively with Miriam Daly racing in the second stage of the women’s 400m hurdles.